I knew it was something I needed to be a part of. After submitting my guardianship application in July 2017, I was thrilled to be asked in March 2018 to be a part of Mission 45 to Washington, DC. In addition to being a guardian, I would also serve as a medic on the flight, allowing me to use my skills as a registered nurse. 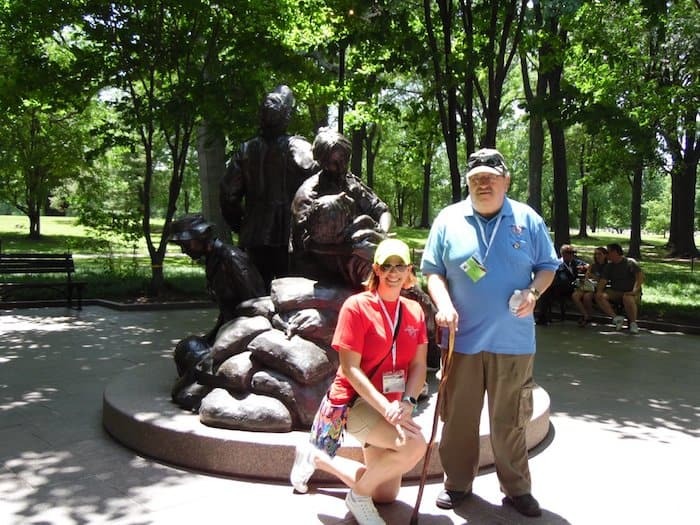 Being a nurse and a guardian on the Old Glory Honor Flight was a dream of a lifetime. It was also a golden opportunity to live the five core nursing values: human dignity, integrity autonomy, altruism and social justice. For the trip, I was able to fundraise to help cover the guardian fee, half of which was generously donated by the orthopedic surgeons and the rest of the team at the Kennedy Center. I was appointed to Joe, a Vietnam veteran. We were first introduced on the morning of May 23, 2018, right before our flight. He is a native of New London and was drafted into the U.S. Army, serving as a medic in the Vietnam War. Our flight out to Washington, D.C, was filled with World War II, Korea, and Vietnam veterans. In the air, Joe shared his Vietnam experience and provided more insight and stories than any textbook ever could. After landing at Reagan National Airport, the veterans were greeted with hundreds of people cheering, clapping and thanking them for their service. Joe and I made our way through the crowd to the buses as I fought back tears. After landing, three buses filled with veterans and guardians took us on our own personal tour of the city. We visited the World War II Memorial, the Vietnam Wall, the Korean War Veterans Memorial, Lincoln Memorial and the United States Navy Memorial. As if that wasn’t enough, we attended the changing of the guard at Arlington National Cemetery, the Marine Corps War Memorial and the United States Air Force Memorial. It was a great adventure! On the flight home, the veterans took part in an old-fashioned mail call and received thank you letters from friends, family and even complete strangers. Smiles and tears were shared among everyone before landing back in Appleton for a welcome home celebration. Thousands of people lined the terminal to honor the veterans and give them the welcoming they deserved. Once again, I fought back tears as I walked with Joe through the terminal to his family. I am so grateful to have been given this opportunity to make a difference in a person’s life. This day meant so much to Joe, the other veterans and to me. 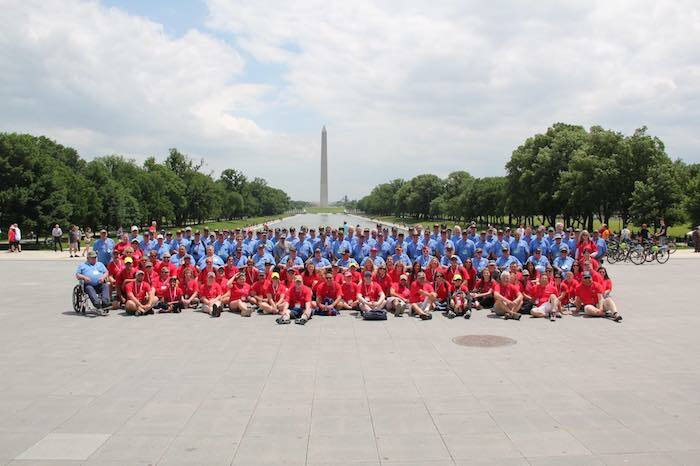 I don’t want Mission 45 to be my last and I hope to be a part of this amazing experience again. As an orthopedic nurse at the Kennedy Center at Mercy, I try to incorporate the nursing values every day as I care for patients and provide health education. They help remind me that the smallest gestures can result in the biggest impacts for patient care. They also inspire me to give back to my community. My experience was a great reminder about the power we all have to make a difference in the lives of veterans, friends, neighbors and, in my case, patients. I am proud to work with hip and knee specialists and other Kennedy Center staff who strive every day to treat every patient with human dignity and integrity. To learn more about the nurses and orthopedic surgeons at the Kennedy Center, contact us today.